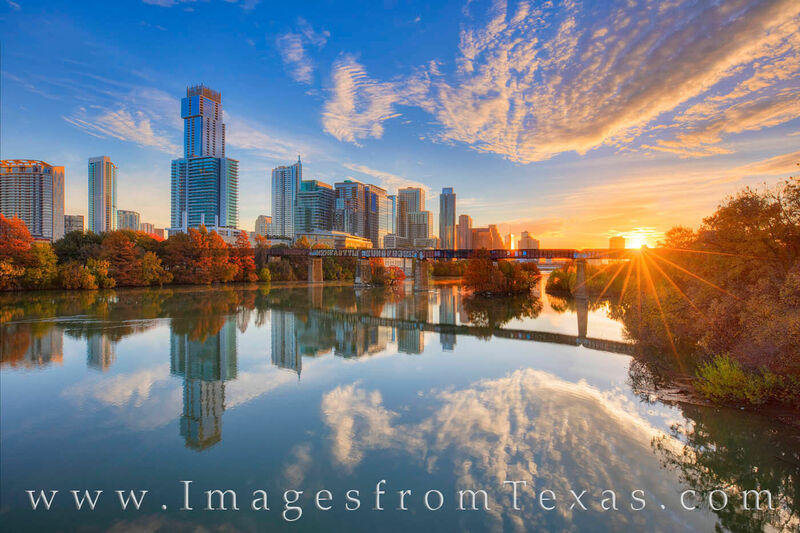 With an explosion of color, the day begins in downtown Austin, Texas. The skyline shines on a November morning, and the still waters of Ladybird lake show the reflection of the highrises and clouds. Taken from the Pfluger Pedestrian Bridge, this photograph looks southeast at sunrise. Photo © copyright by Rob Greebon.